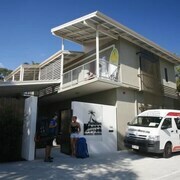 Situated in Noosa Heads, this hostel is within 1 mi (2 km) of Little Cove, Noosa Beach, and Hastings Street. 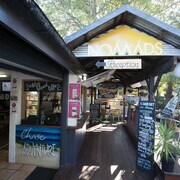 Noosa National Park is 0.7 mi (1.1 km) away. For you, life is a journey, not a destination. If not for the whole needing a job thing, you’d be a world traveller, and all your friends would be #sojelly. But instead you’ve saved up your time off (or maybe even scored a sweet freelance gig), and you’ve been thinking about all the places you could go. In fact, maybe you’ve been thinking a little too hard—it’s holiday time, and you need a place to stay. 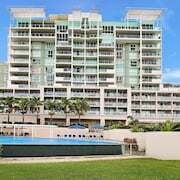 You also know you don’t have to be flush with heaps of moolah to find your perfect spot. You just need a place to crash after all your adventures, anyway. 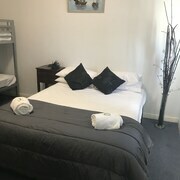 We’ve got Sunshine Coast budget backpackers accommodation to save the day. Hostels were literally made for last minute travel. They’re cheap, they’re fun, and they’re always around. Kinda like your bestie, hostels are the sort of friend who’s always there for you in a pinch, with a pitcher of margaritas and an epic playlist, ready to party. They’re youth accommodation at its finest. 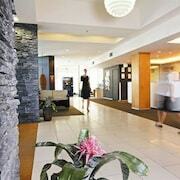 You’ll be out exploring Sunshine Coast all day, then coming back just to get ready for the nightlife. You’ll probably meet loads of newfound friends, and the next morning—or more likely, afternoon—it all starts again. 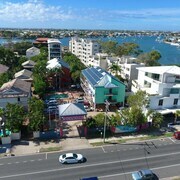 When it comes to holidaying on the cheap, backpackers know where it’s at: Sunshine Coast hostel bookings from lastminute.com.au. They’ve got everything you need, and nothing you don’t. So throw a few things in your backpack and get travelling—Sunshine Coast isn’t going to wait forever!